EDITOR’S NOTE: This is the third article in a series on domestic violence. The first article, published on Jan. 8, focused in general on domestic violence and the assistance that the Family Crisis Center of East Texas offers to domestic violence victims in nine counties in the East Texas area, including Houston County. The second article, published on Jan. 29, featured an East Texas woman who gave her domestic violence story. She told the Messenger how she ended up in a physically-abusive relationship and how she was able to get out by staying at the Family Crisis Center of East Texas’ Women’s Shelter. Through their assistance, she was able to find a job and has since moved into her own apartment with her young daughter, regaining her independence. In this third article, we look at the Family Crisis Center of East Texas’ Batterers Intervention and Prevention Program (BIPP). For anyone who needs immediate assistance, call the 24-hour crisis hotline at 1-800-828-7233. 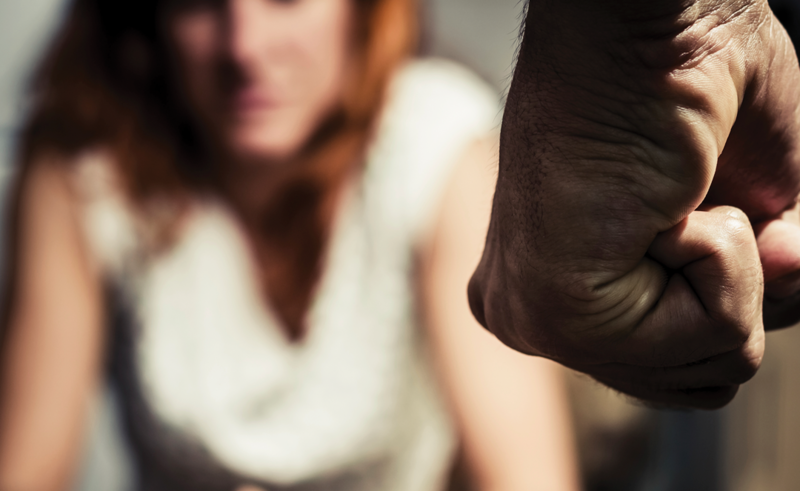 EAST TEXAS – Many times when a domestic violence incident occurs, the perpetrator often ends up in jail, facing charges for an assault that can range from a misdemeanor to a felony, depending on the severity of the event. When they go to court or get out of prison for their offense, it’s possible that the offenders are required to participate in the Battering Intervention and Prevention Program (BIPP) as a condition of their probation or parole. Locally, the Family Crisis Center of East Texas, headquartered in Lufkin, provides the BIPP program for the following nine East Texas counties it serves, including: Angelina, Houston, Nacogdoches, Polk, Sabine, San Augustine, San Jacinto, Shelby and Trinity counties. Specifically, the BIPP program provides counseling for family violence offenders in which offenders are held accountable for past abusive behavior and taught the fundamentals of leading a non-violent lifestyle. The goal of the program is to enhance the safety of battered women, men and their children by providing educational services to men who have been violent, abusive and/or controlling in their intimate family relationships. It teaches batterers how to recognize abuse, accountability and change their violent behaviors. The Family Crisis Center’s BIPP program is accredited by the Texas Department of Criminal Justice Assistance Division. The Family Crisis Center of East Texas started offering the program in 2015, though the BIPP program has been in existence since the mid-1990s. When they enter the BIPP program, the offenders are required to participate in the weekly group sessions for 24 weeks. “I meet with them one-on-one for their first intake session and find out what is going on and then from there they start their 24 weeks generally to satisfy a condition of probation or parole,” Windham said. The BIPP group sessions are currently held once a week in Angelina County and Nacogdoches County. In Angelina County, the group meets from 6 to 7:30 p.m. on Thursdays in Lufkin. In Nacogdoches County, the group meets from 9 to 10:30 a.m. on Tuesdays in Nacogdoches. “This gives them a chance to attend either a night meeting or day meeting, depending on what works best with their work schedules,” Windham said. The Family Crisis Center of East Texas is planning to expand the group meetings to Houston County later this year, Windham said. During the BIPP weekly meetings, the men discuss several topics centered mostly around intimate partner domestic violence, as most of the men in the program have had issues dealing with their spouse or girlfriend, rather than other members of their family, such as against their mother, Windham said. Currently, about 20 men are participating in the BIPP program in the two weekly group meetings. The Family Crisis Center of East Texas decided to offer the BIPP program as way to decrease domestic violence locally. Domestic violence covers the spectrum of emotional and psychological abuse to physical abuse, Windham said. Many times it starts with emotional or psychological abuse. While Windham said he doesn’t see a lot of stalking cases locally, he does talk to the men about different kinds of stalking. Jealousy is definitely a big issue for the men, Windham said. Through the program, the group tries to make sure the participants are in an appropriate relationship with someone, and if they are, if he is communicating with her. “Many times they think they are entitled. It’s always about power and control. We try to make them see what makes them think they need that power and control over someone else, specifically a woman,” Windham said. All walks of life come to the BIPP program. “We have the educated, the uneducated, the high-end economically and the low-end economically. It’s a pretty diverse group as far as race as well. Domestic violence reaches across all ages of men and all races,” Windham said. If a participant in the BIPP group has stayed out of trouble and satisfies their conditions of probation or parole by finishing their 24 weeks, they are given a BIPP certificate. If the participant gets into another domestic violence situation while in the program, they are terminated from participating. As part of the group dynamic set-up, the men who have been in the program longer help the newer guys as they all strive to be accountable. “They are able to share confidentially all the issues they have been through, how they are handling it right, or how they are working on handling that problem,” Windham said. In society in general, men have problems communicating – but through BIPP, they learn how to share their feelings. “I’m not afraid to say it. Men in general lack the ability to communicate our own feelings whether it’s in an intimate partner relationship or someone else like another guy. The prevailing attitude is that we aren’t supposed to share our feelings. At least through this program they are exposed to how to think about their own emotions and how to communicate effectively with other people,” Windham said. Overall, Windham said he does find his job helping the men rewarding. The Family Crisis Center provides assistance 24-hours a day to victims of physical abuse and sexual assault. Call the 24-hour hotline for assistance at 1-800-828-7233.